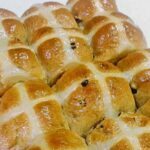 Hot Cross Buns are a lovely soft, spiced sweet roll, and traditionally made at Easter time, simply split apart and spread with butter and jam. They're lovely eaten warm from the oven or split and toasted. 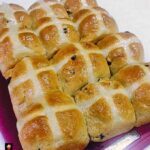 Easy Hot Cross Buns! 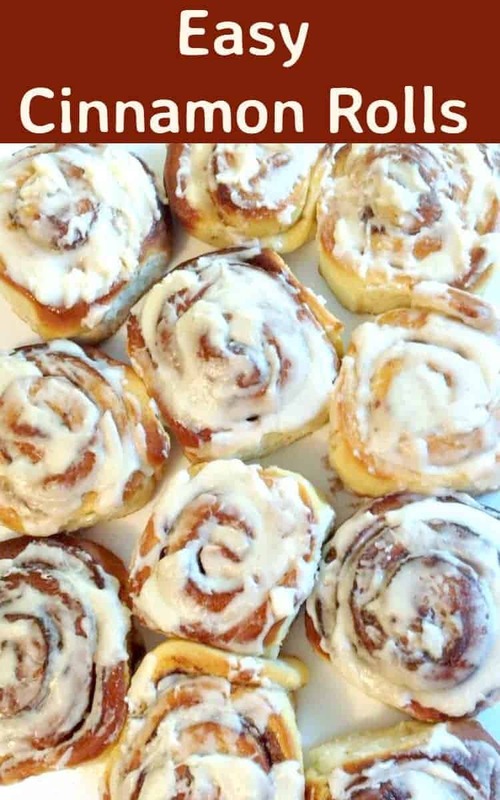 These are a lovely soft roll, with a gentle taste of cinnamon, nutmeg, and cloves. 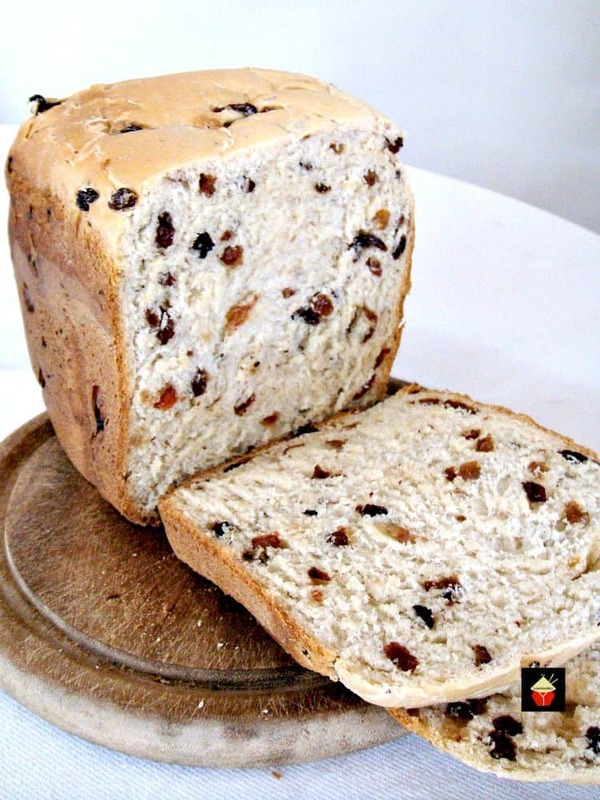 The buns are peppered with raisins, so with every bite of a hot cross bun, you get a burst of warm spices and juicy raisins. 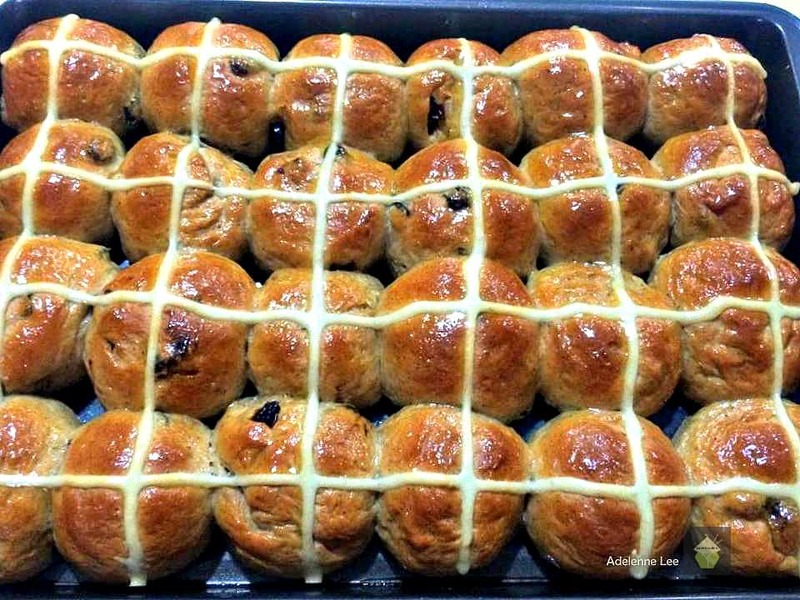 This delicious Hot Cross Buns recipe has been generously shared by one of our great cooks, Adelenne. Here, Adelenne has made a batch of Hot Cross Buns, just in time for Easter. 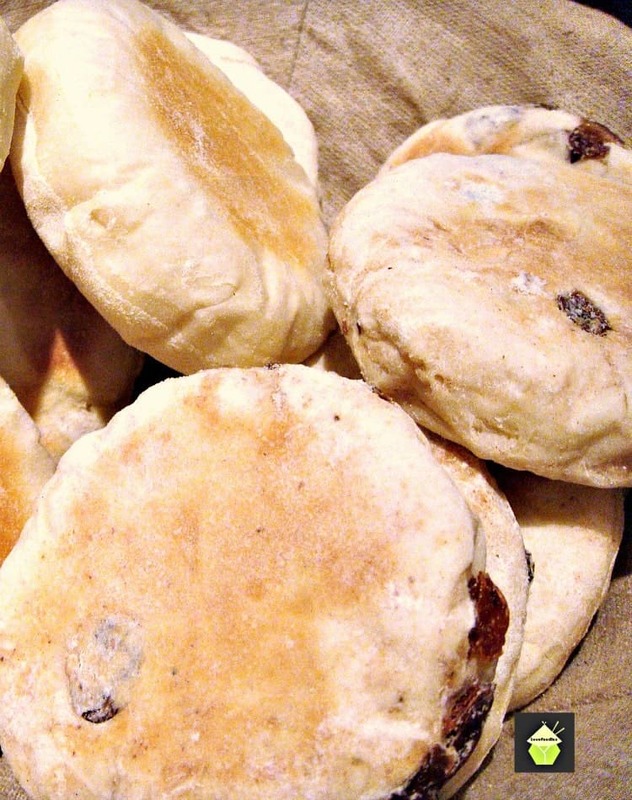 These buns are a soft, spiced sweet bun made with currants or raisins and marked with a cross on the top, traditionally eaten on Good Friday in the UK, Australia, New Zealand, South Africa, and Canada. Some people split them in half and toast them, adding butter and jam, and some just simply eat them plain as they are. 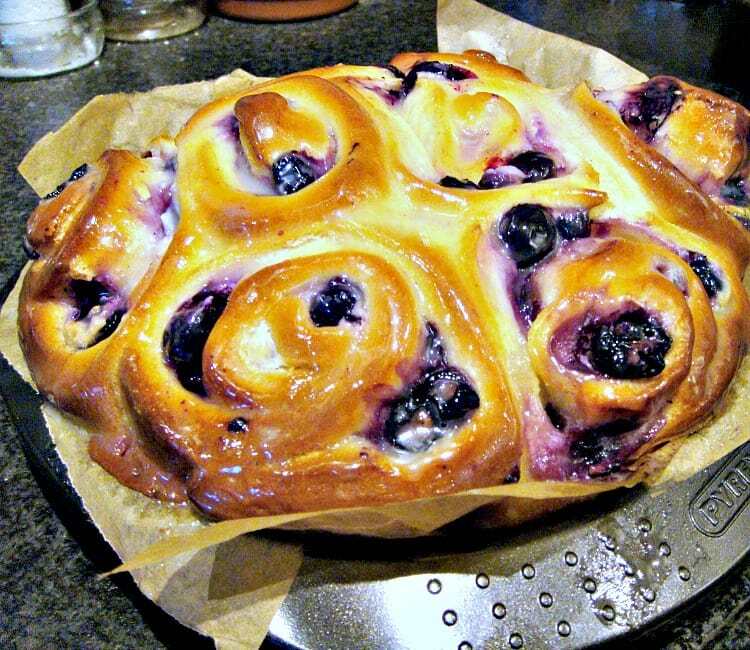 They certainly are delicious and incredibly easy to make. The smells when these are baking are just wonderful! For these hot cross buns, Adelenne has made the bread by hand, it’s simple enough so you don’t need to use a stand mixer to knead the dough. The hot cross buns are freezer friendly too, so if you made a batch and wanted to freeze some for a later date, maybe even make ahead for a picnic or lunch boxes, then just defrost to room temperature or even pop them in the oven for 5 minutes to warm through if you prefer them warm! 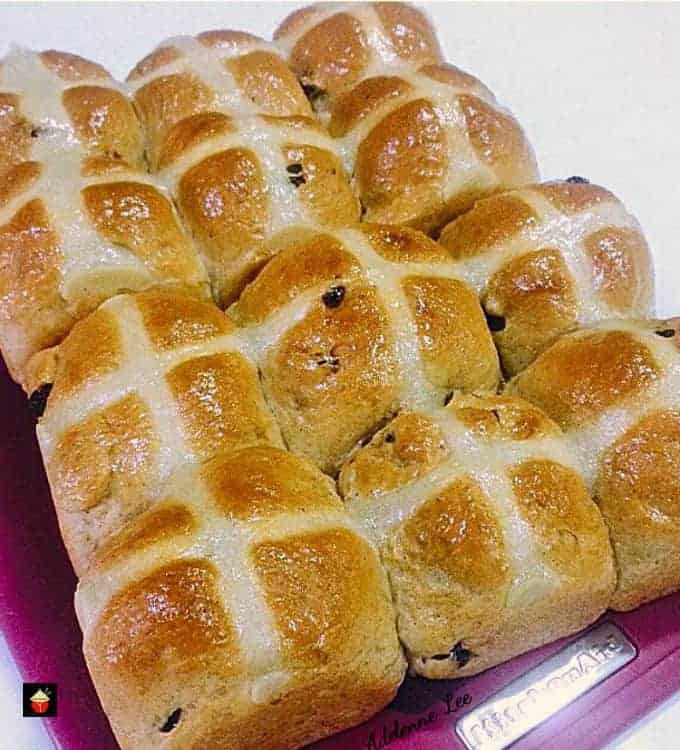 So let’s get straight to the recipe and see how easy it is to make some hot cross buns! Please enjoy and Happy Easter to you! 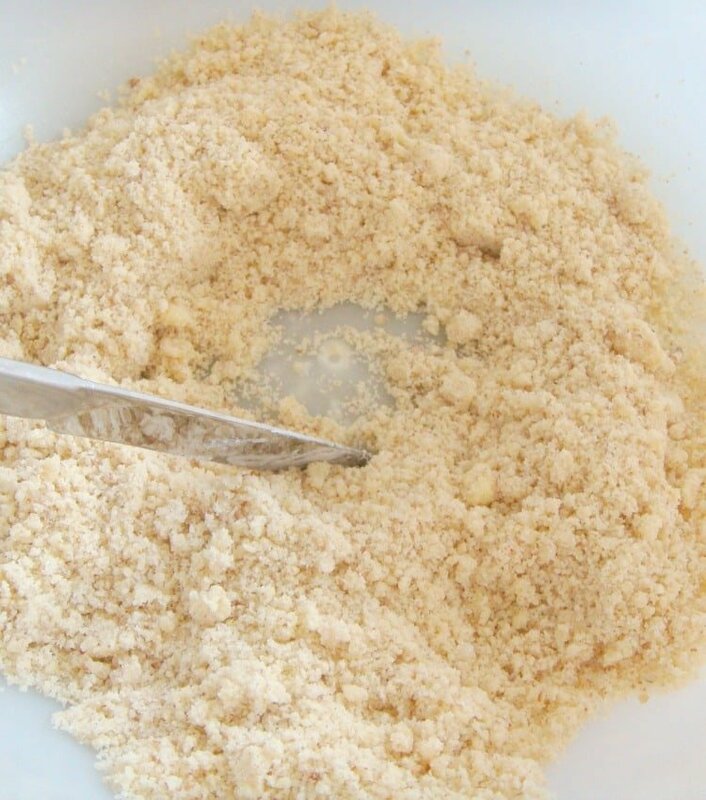 1/4 cup castor sugar **** If you can’t get castor sugar, use regular sugar. It just takes a little longer to dissolve. 1. 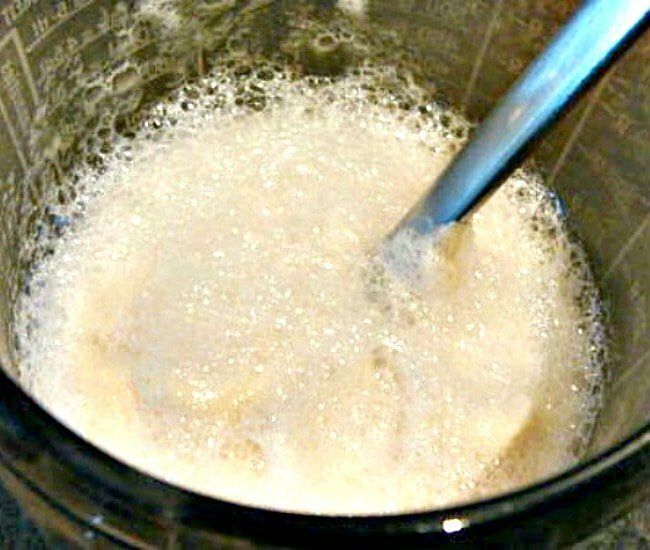 Place the milk, sugar, and yeast in a bowl. Stir until the sugar is dissolved. Set aside for 10 mins or until it’s frothy. 3. Make a well in the middle of the mixture, then stir in the eggs and yeast mixture. Then add the raisins. Combine until a dough forms. You can use a wooden spoon or a stand mixer. 4. Put dough on a floured surface and knead for about 5 mins until dough is smooth and elastic. 5. Put dough in an oiled large bowl and cover with cling wrap. Set aside in a warm place for about 45 mins or until doubled in size. When it’s doubled in size, remove the cover and punch down the dough. 6. Knead again till smooth and divide into 12 large rolls (use a greased 8″ x 12″ tray) or 24 rolls ( use a greased 10″ x 16 ” tray). I used the latter cos I prefer smaller rolls. 7. Set aside for another 15-20 mins for rolls to rise. 8. Preheat oven to 200 C or 400 F.
9. When rolls have risen, use the flour and water to make a smooth paste and pipe lines across all the rolls to make the crosses (like in my photo). 10. Bake for 10 mins then reduce the temperature to 180 C or 350 F and bake a further 15 mins. 11. Remove from oven and while it’s still warm, brush rolls with warm apricot jam. 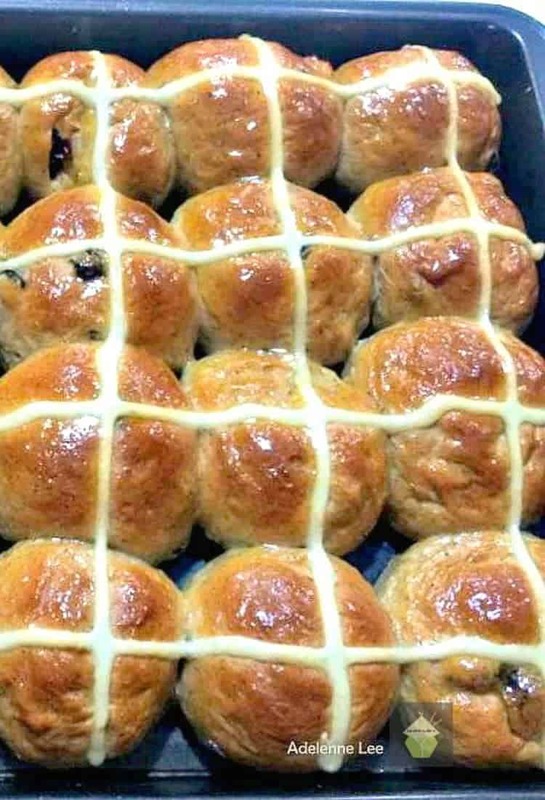 We’d love to hear from you and what you thought of our hot cross buns recipe. Did you make any changes or add some other goodies? Let us know in the comments below. Thanks for reading and happy cooking! Below are some really lovely recipes which we suggest for you. So delicious! 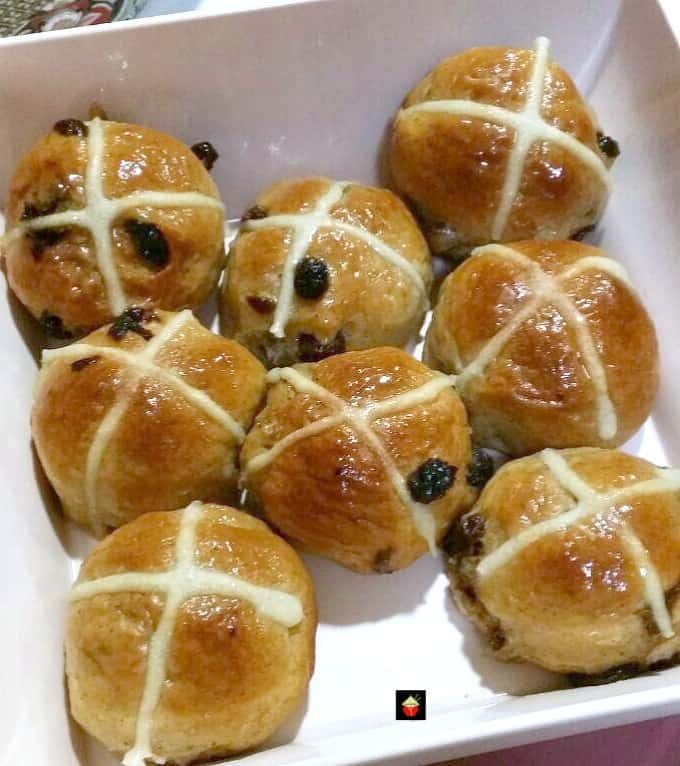 Hot Cross Buns are a lovely soft, spiced sweet roll, and traditionally made at Easter time, simply split apart and spread with butter and jam. They're lovely eaten warm from the oven or split and toasted. Nowadays, these are enjoyed all year round! Very easy to make and freezer friendly. 1/4 cup castor sugar **** If you can't get castor sugar use regular sugar. It just takes a little longer to dissolve. Place the milk, sugar and yeast in a bowl. Stir till the sugar is dissolved. Set aside for 10 mins or until it's frothy. 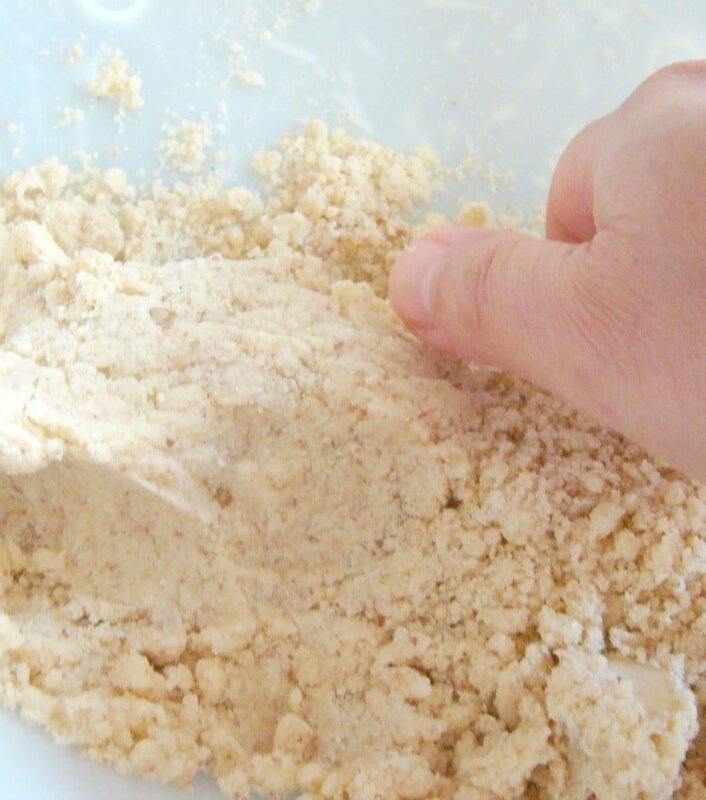 Sift flour, salt and spices in a large bowl then rub the butter in the flour mixture with fingers until it's crumbly. Make a well in the middle of the mixture, then stir in the eggs and yeast mixture. Then add the raisins. Combine until a dough forms. You can use a wooden spoon or a stand mixer. Put dough on a floured surface and knead for about 5 mins until dough is smooth and elastic. Put dough in an oiled large bowl and cover with cling wrap. Set aside in a warm place for about 45 mins or until doubled in size. When it's doubled in size, remove cover and punch down the dough. Knead again till smooth and divide into 12 large rolls (use a greased 8" x 12" tray) or 24 rolls ( use a greased 10" x 16 " tray). I used the latter cos I prefer smaller rolls. Set aside for another 15-20 mins for rolls to rise. 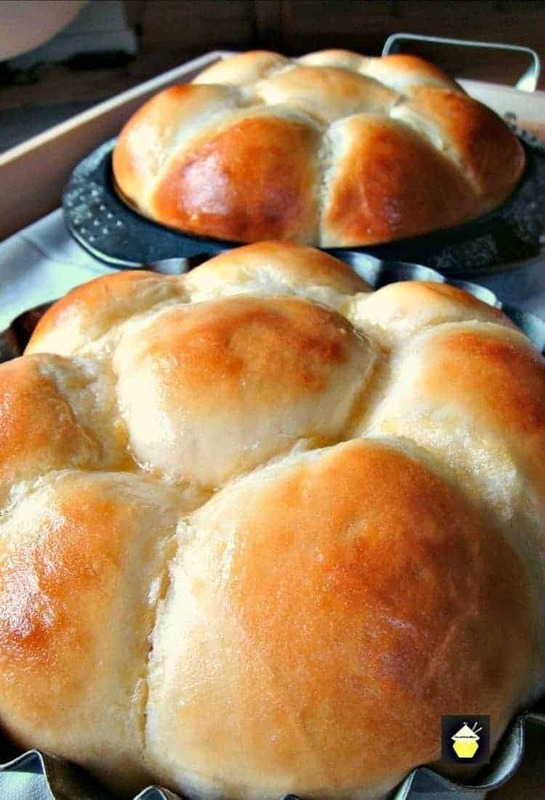 When rolls have risen, use the flour and water to make a smooth paste and pipe lines across all the rolls to make the crosses (like in my photo). Bake for 10 mins then reduce the temperature to 180 C or 350 F and bake a further 15 mins. Remove from oven and while it's still warm, brush rolls with warm apricot jam. Loved the Hot Cross Buns they turned out nice and fluffy. Tried another recipe and they were denser. I added some cardamon and increased the cinnamon, plus added some citrus peel and reduced the raisins to equal the 1 cup.